Did you grow up watching The Little Mermaid on repeat? Then this might be your favorite collection! The Mermaid At Sea is inspired by Ariel and her surroundings under the sea. Mermaid Hair Don’t Care - Inspired by the infamous Little Mermaid. It is a creme polish with a jelly like translucency. Abalone Crown - Inspired by the abalone shell and its iridescence. A crelly-like base filled with many different shades of color changing glass flecks. It also has the slightest touch of holo and purple to green shimmer. Shown is two coats worn over white cream polish. I tried this on it's own and because my nails are stained, the third coat just didn't hide the yellow well enough for my bright lights. Seafoamin’ Around - Inspired by my favorite color, mint, I wanted to capture a fun interpretation of the sun hitting tropical waters. The polish has an array of micro flakies, shimmer and glitters. Sunset Sands - Inspired by watching the sunset while on a warm sandy beach. 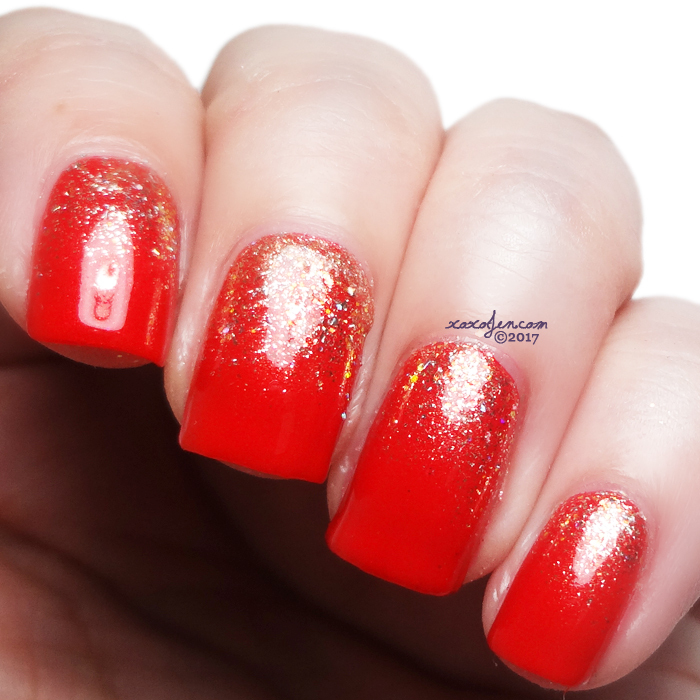 Its a rosy micro flake base with color changing glitters and flakies to give it bright red flashes through out. Make Waves - Inspired by the night sky on the ocean. 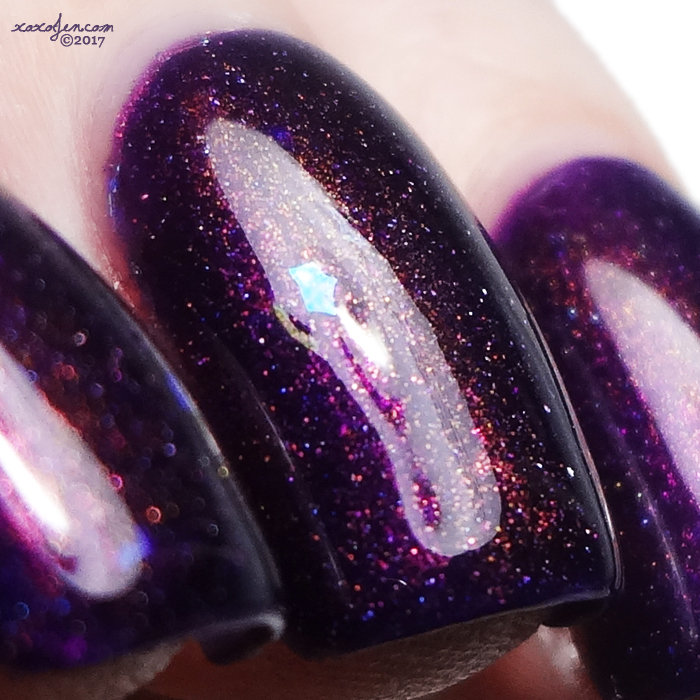 This is a very glitter heavy polish filled with many types of glitters, holo flakies and regular flakies too. 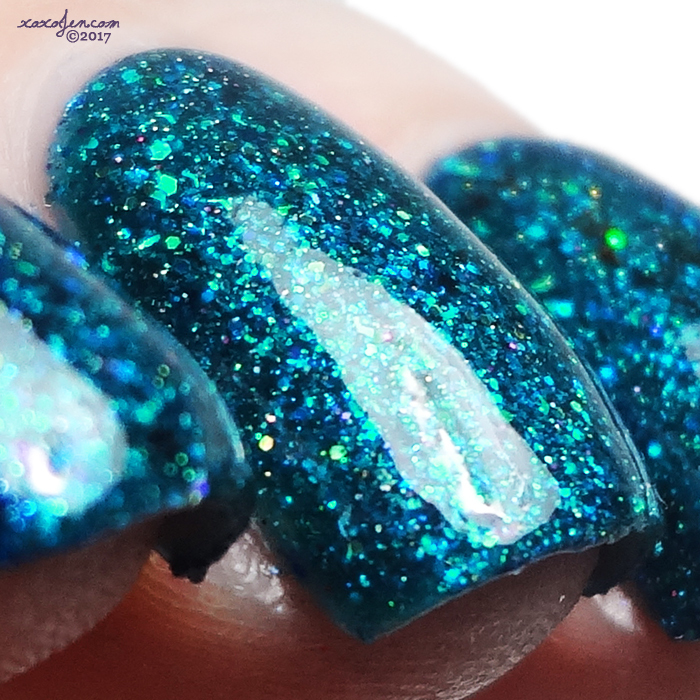 Don’t Be A Seawitch - Inspired by Ursula of the Little Mermaid. It has a deep violet base with a bright magenta shift in direct light. Also has a scattered holo along with bright green glass flecks. 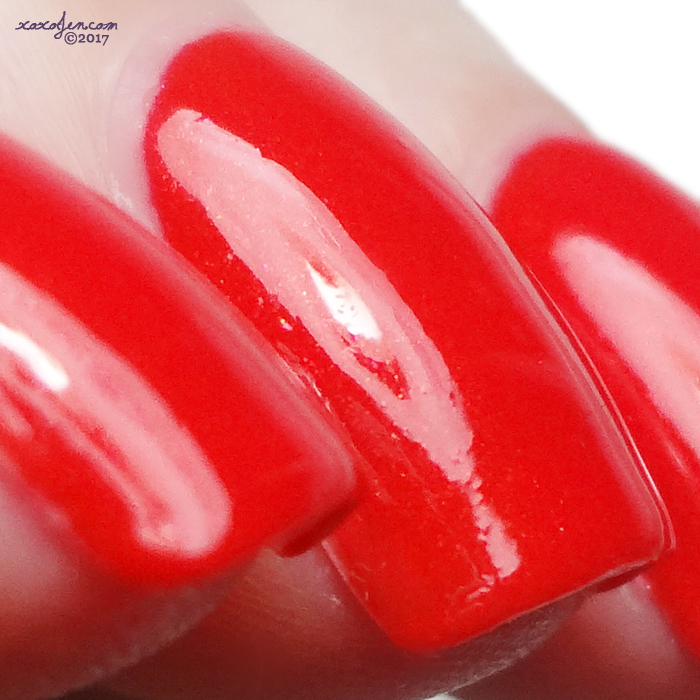 The base of this polish can possibly cause staining to artificial nails or nail mats. Please use a clear base underneath. I'm still wearing this, so I cannot comment about whether or not it stained natural nails w/basecoat. How about some nail art with these? Mermaid Hair Don't Care with a Sunset Sands gradient. Sunset Sands stamped with MDU 72 (mint) stamping polish. 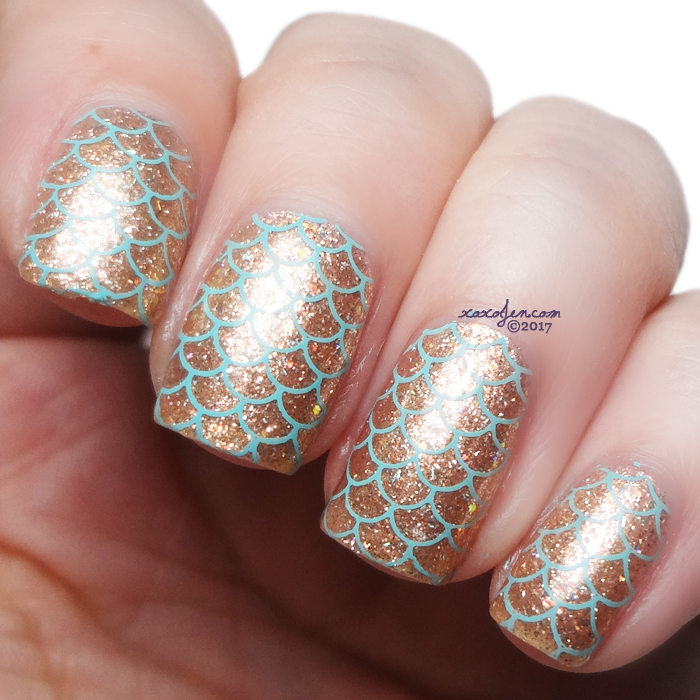 Some lovely colors in this Mermaid At Sea collection. I really like the look of Sunset Sands.